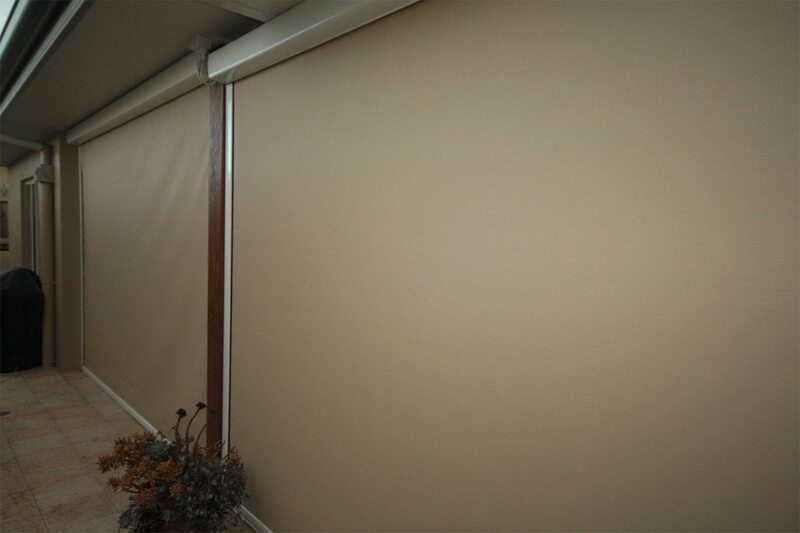 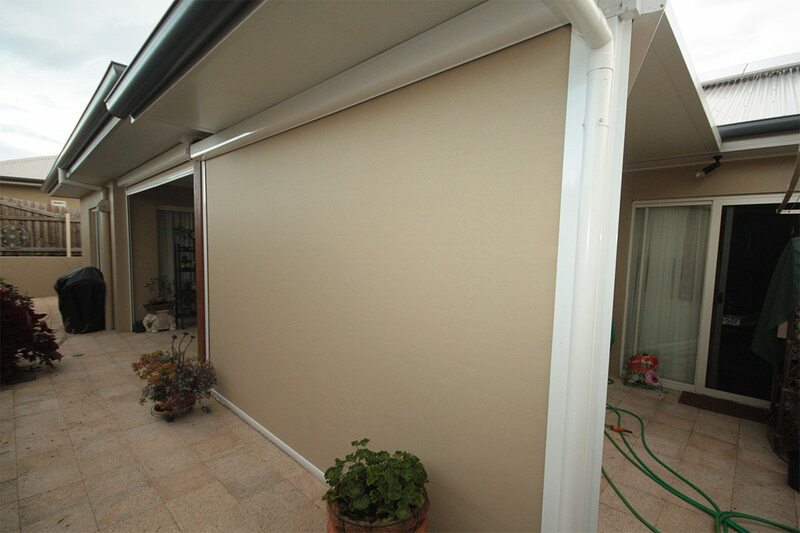 Zip Track awnings that are crank operated. 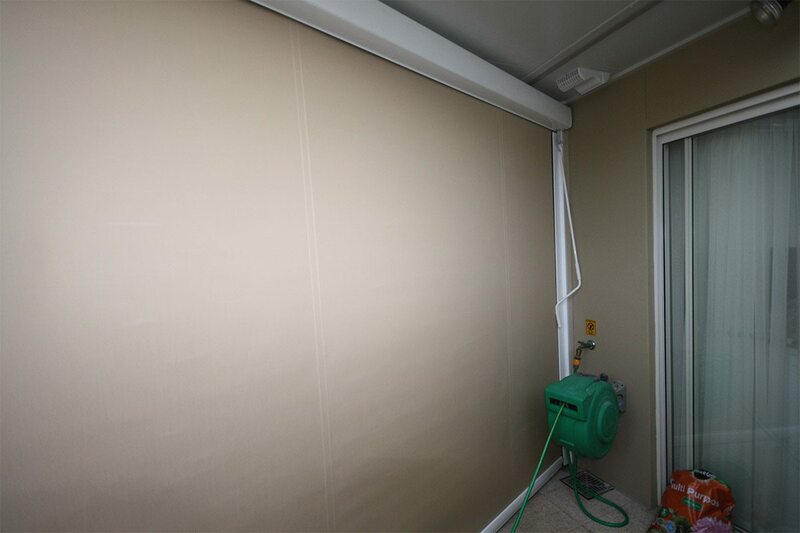 Using a heavy duty fabric means this area is weatherproof and the addition of the matching weatherbox completes the tidy install. 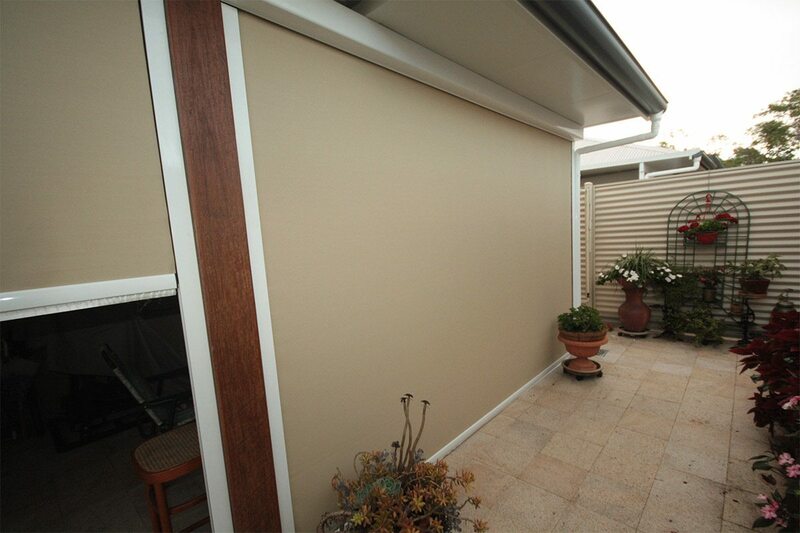 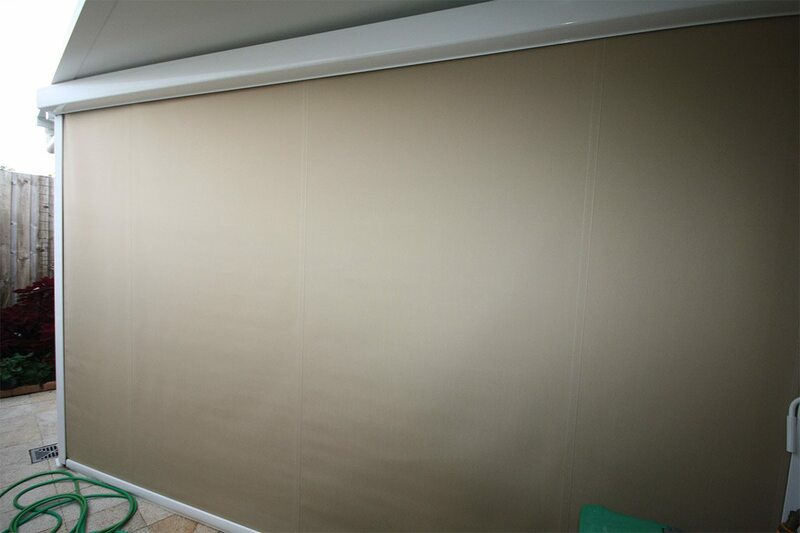 Motorised Zip Track awnings provide a great easy to use system that allow almost complete weatherproofing.